Caelum: Between Eridanus and Columba. Horologium: Between southern Eridanus and Dorado. Lynx: Northeast of Auriga and Gemini. Monoceros: East of Orion to south of Canis Minor. 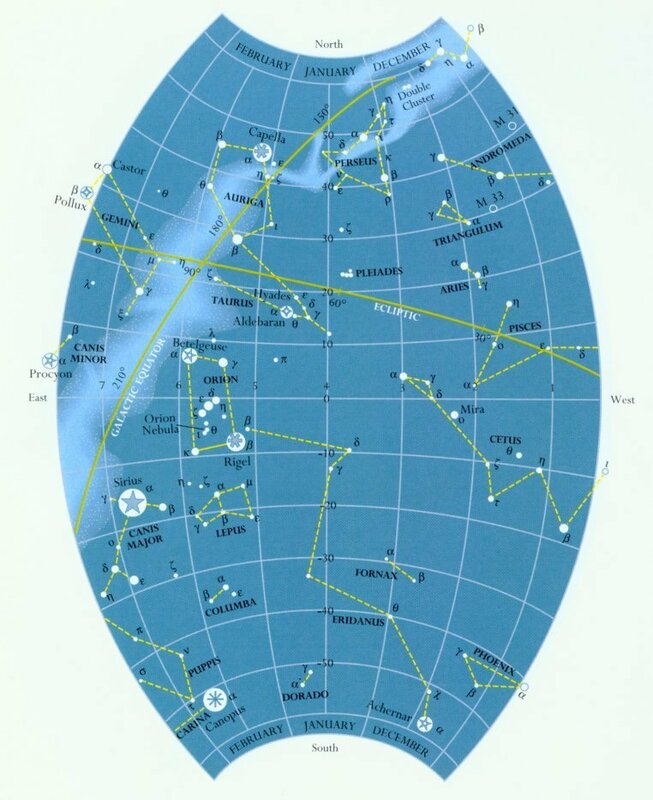 Go to Map 2 The constellations of northern autumn/southern spring.